Thank you for your continued prayers and support! You will never know how much your partnership has made a tremendous difference in New Mexico. Last month we made a big announcement about the fact that we are working on THREE projects that have the potential to bring Late-Term Abortion to an end in New Mexico! This month we began the process of consulting with attorneys and coming up with a plan of action. Have you ever worked so hard to get something done and in those moments have everything seem to go wrong? Things break down, emails won’t send and it becomes obvious that Satan is attempting to thwart your efforts. Thankfully with diligence, perseverance and God’s mighty working power we were able to overcome these obstacles this month! However, this is common place for us here in New Mexico, which is why your prayers play an integral part in saving lives. Will you commit to praying for us? In fact, will you please stop reading this newsletter right now and lift up the following requests to our Father in heaven? -For God’s strategy and guidance in making New Mexico abortion free to be clear to us. 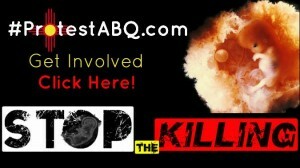 -For God’s blessing on our projects that will bring late term abortions to an end in New Mexico. -For open hearts and minds of New Mexicans to embrace LIFE. -For legislators and church leaders who hold positions of authority. -For clarity of mind and wisdom of the attorneys assisting us. You are invaluable to the pro-life efforts we are doing here in New Mexico, we thank God for you and want to pray for YOU. Please share your prayer requests in the comment section! This past legislative session New Mexico Senate Democrats killed all of the Pro-Life Bills introduced. Senator Jerry Ortiz y Pino was the chair of the Senate Committee in which three of the four bills were heard in. The late term abortion clinic in is Ortiz y Pino’s district as are the hotels that house abortion patients undergoing the 3-4 day procedure. Presidential candidate, Senator Rand Paul, recently posed this question to the Democratic National Convention, “Is it okay to kill a 7 pound baby in the uterus?” Protest ABQ thought that was a reasonable question to also ask of Democrat Senator Jerry Ortiz y Pino and the other Democrat politicians attending a local town hall meeting. It’s long overdue that New Mexicans held their pro-abortion legislators accountable, Protest ABQ is doing just that and our hope is that hearts will be changed in such a way that we will begin to see results at the legislative level. 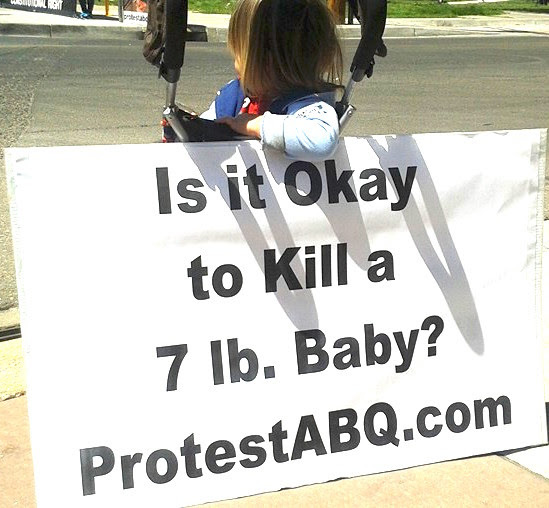 “New Mexico, is it OK to kill a 7lb baby?” Bud Shaver of Protest ABQ is Dewey’s Guest. P.S.- We want to pray for you! Please share your prayer requests in the comment section! 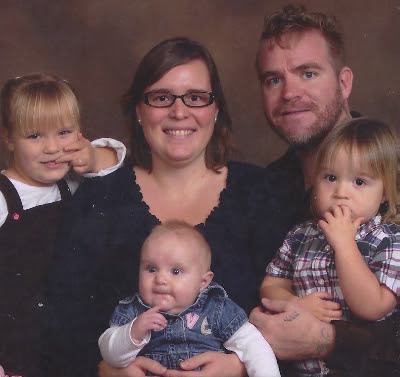 Bud and Tara Shaver are Pro-Life Missionaries serving in Albuquerque, NM. Commissioned by Operation Rescue to Albuquerque in 2010, they are implementing several proven strategies, in an effort to make New Mexico, “Abortion Free.” Bud and Tara have redefined the American mission field and their Pro-Life efforts have been featured in virtually EVERY major news source in the country. Bud and Tara strive to keep Christ at the center of their efforts. 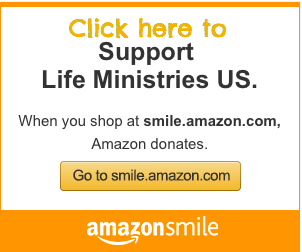 Click here to make a secure online donation.